There was a time when a large number of physicians did not believe the sacroiliac joint was a pain producing joint. Some still find it controversial, however their numbers have dwindled in recent years as many have improved with sacroiliac treatments. Surgical procedures are never far behind, and now surgical fixation devices are ever-increasingly being promoted. 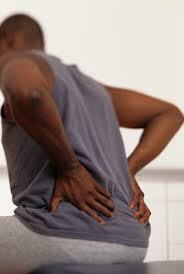 As with most spine surgery for low back pain complications and failure rate is of concern. The sacroiliac joint is blocked with anesthetics to determine If the source of low back pain is emanating from the sacroiliac (SI) joint. The SI joint is formed at the juncture of the sacrum (the lowest part of the spine) and the ilium ( the broad pelvic bone). When injections to block and relieve pain do not last an alternative to SI joint surgery is Regenerative Medicine. This is an emerging field of medicine. Regenerative Medicine utilizes Platelet-Rich-Plasma (PRP) to deliver growth factors to the SI joint to provide a repair or healing affect. Platelet-Rich-Plasma (PRP) has been used for a variety of musculoskeletal disorders, including sports injuries. 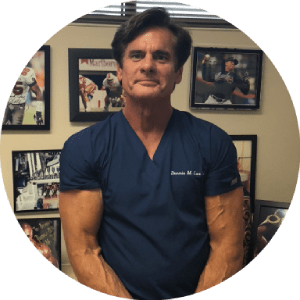 The emergence of high profile athletes turning to PRP for healing is well documented. PRP is delivered to the painful area after the patients own blood has been concentrated to deliver an enriched supply of platelets. The platelets release the powerful growth factors that initiate the healing response. By turning to Regenerative Medicine, a new innovative strategy can be utilized to deal with chronic low back, and as an alternative to back surgery.